The spring season is the primary softball season and it is held from February through May, with practices starting late January. Girls ages 5-14 of all skill levels are encouraged to sign up. Team selection is made in January and Opening Day is in early February. Capo Girls Softball holds a number of training camps throughout preseason and the regular season to strengthen players' skills. 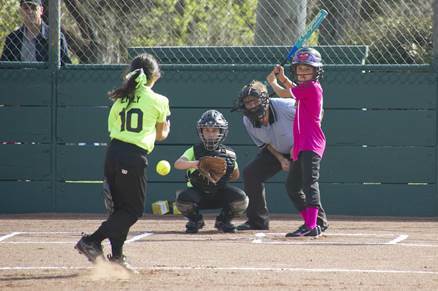 Capo Girls Softball games are played primarily at Cooks park in San Juan Capistrano, but occasionally also in Mission Viejo, Aliso Viejo and other surrounding communities. Girls from any city in south Orange County are welcome to join…if you can make it to the park you can play! Registration for the spring season of the Capo Girls Softball (CGS) usually begins in mid October.